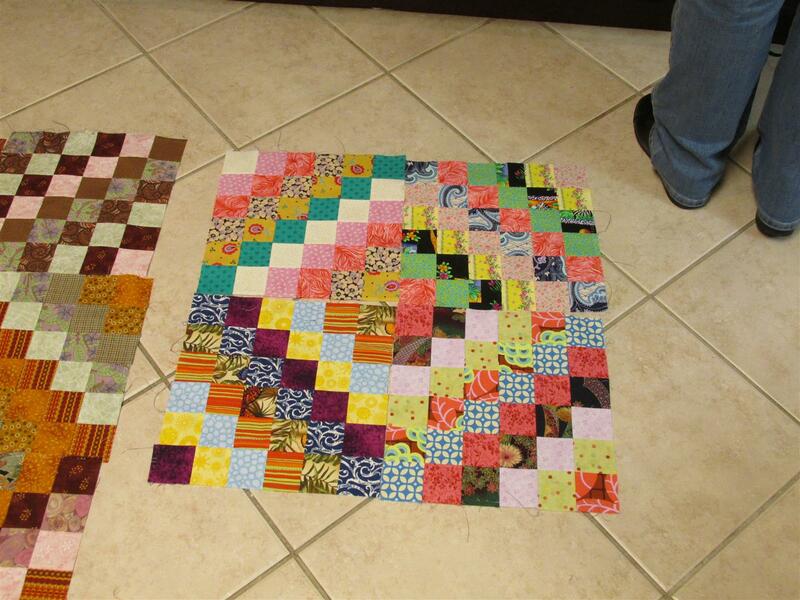 A young lady in our community who has also been a part of my quilt guild, is working on her Girl Scout Gold Award. This award represents the highest achievement in Girl Scouting. Having been adopted at 14 months old from Russia, she has a keen awareness of those in need of adoption or in the foster care system. Her project is to make and donate 16 twin size quilts for teens who age out of the Foster care program, and also raising community awareness about the needs for Foster Care. She is also putting together baby quilts for her orphanage. She shares her project and it’s progress on Diana’s Golden Needle, and all are encouraged to lend to this worthy project. 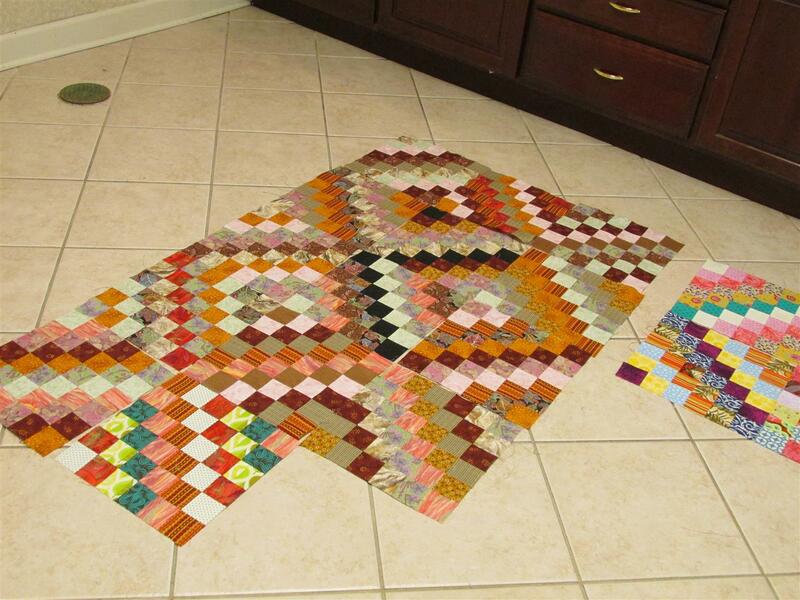 Diana’s is using Bonnie Hunter’s Scrappy Trip Around the World pattern. Each year at the Quilt & Sew-In Retreat blocks are constructed for a charity quilt and this year all helped in the construction of blocks for Diana’s quilts. The blocks are pretty and fun to put together. I am excited for this fine young woman and for her project. You can follow this excellent project and see some great pics on Diana’s Facebook page, Diana’s Golden Needle. You can also join in the fun to assist her in this project – please message her first to see what her present needs are. Posted in Uncategorized and tagged Charity Quilt, Color, guilds, Quilt, Quilting. Bookmark the permalink.